The TU839 MTU can have up to 8 I/O channels and two groups of connections for sensor power distribution. Each channel has two I/O connections. The process voltage can be connected to two individually isolated groups for sensor power distribution. Each group has a 200 mA fuse. 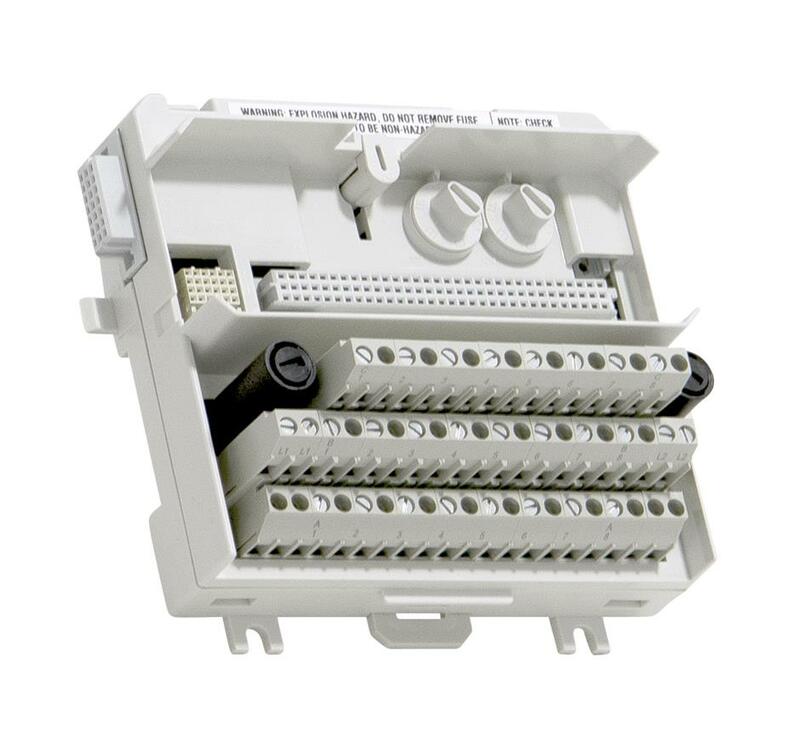 The maximum rated voltage is 250 V and maximum rated current is 1 A per channel. It is recommended that the fuse rating be chosen to meet the applications needs. 8 individually isolated I/O channels. Two individually isolated, fused groups for sensor power distribution. Width 126 mm (5 in.) including connector, 120.5 mm (4.74 in.) edge to edge installed.